Birthday is an important day for everyone. On birthday, friends, relatives and parents will give the host many presents and a sea of blessings. In days, the birthday of Dona comes around. Hence her friends and roommates are preparing gifts for her. All of them know that Dona badly wants a set of FOSJOAS electric scooter. Every friend knows this fact. They does not come together for discussion of what present each one will give to Dona. Under such circumstance, they start to buy present. All of them want to give Dona a surprise. It is the birthday of Dona today. All of her good friends and roommates are invited to his house to celebrate his birthday. They all buy presents and their presents are packaged. There is no way for know what lie in the boxes. All these friends are positive that each's present will be the best one. After Dona blows the candles on the cake, she gets to open her gifts. She takes the first pick of the present given by Tom. At the moment when Dona open the present, Tom is excited and Tom secure that his present will surprise Dona. Indeed, when Dona opens the box and see the present-one set of FOSJOAS one-wheel electric scooter V6, she becomes excited and is close to tears. She gave a warm hug to Tom for his precious gift. Dona promises that she will cherish his present for good. 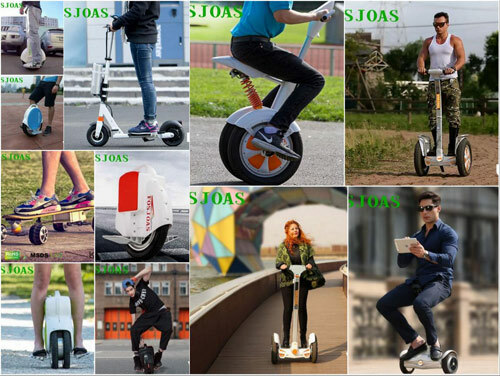 Seeing the situation, others feel a bit disappointed because their gift are all FOSJOAS electric self-balancing scooters. They had thought their gifts would give a surprise to Dona. Since Dona has received a set of electric scooter. When she sees another electric scooter, she must not be excited as the first time. But such is not the case. Having opened all boxes and seen the presents of FOSJOAS self-balancing one wheel electric scooter, Dona is all tears. She is grateful to them. And she feels happy and proud to own so many such friends.